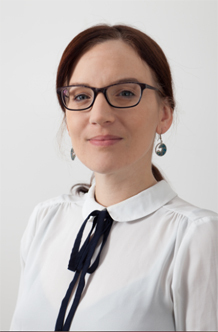 Nicole is a Postdoctoral Research Fellow at the College of Life & Environmental Sciences, working with Prof. Nick Gill on ASYFAIR – a project investigating fairness and consistency in asylum appeal courts in Europe. Nicole is the lead researcher of the project, and - as a German native speaker - is responsible for conducting research in Germany. Nicole completed her PhD in Anthropology Research at Brunel University London in 2016, conducting extensive ethnographic fieldwork with resettled refugees in the UK, focusing on community development and the practice/policy gap. Her MRes studies (Brunel University London, 2010) were concerned with alternative development strategies and education in South Asia, as well as utilizing qualitative research methods to measure and operationalize policy and development programmes. During her previous studies (BSc and DipHE), Nicole conducted research in migration, education and linguistics. Nicole is working on an ERC-funded research project led by Prof. Nick Gill: “ASYFAIR - Fair and Consistent Border Controls? A Critical, Multi-Methodological and Inter-Disciplinary Study of Asylum Adjudication in Europe”. This interdisciplinary study examines legal practices in asylum appeal courts in Europe, focusing on fairness and consistency in legal procedure. By exploring asylum adjudication in various EU countries (such as the UK, Germany, France, or Greece), the project aims to inform migration policy and legislation (e.g. the Common European Asylum System - CEAS). As an experienced ethnographer and qualitative researcher, Nicole conducts research in Germany and Austria, and serves as the lead researcher for ASYFAIR. During her PhD, Nicole conducted long-term, in-depth ethnographic fieldwork and research on refugee resettlement in the UK, exploring the impact of restrictive policy and reduced service provision on resettled refugees. She critically examined humanitarianism and community development approaches in refugee camps and in the Global North, and thereby shed light on the practice/policy gap in migration policy. In addition, she explored transnationalism, socio-cultural identity, multiple belongings, agency, and forms of resistance among migrant communities. Throughout her academic career, Nicole has advocated the need to conduct in-depth research to measure and assess the implementation of policy, and the everyday experience and effects of policy on the ground. She promotes interdisciplinary, collaborative, and multi-methodological studies, as well as the use of virtual/digital and visual research methods (e.g. film making) in social and human sciences. As an experienced language teacher, Nicole conducted research in linguistic anthropology, the anthropology of education, and the anthropology of childhood and youth. Hoellerer N (2018). The Pitfalls of the Community Development Approach in Refugee Resettlement in the UK: an ethnographic analysis of community divisions amongst Bhutanese refugees in Manchester, UK. In Nelson A, Roedlach A, Willems R (Eds.) The Crux of Refugee Resettlement: Rebuilding Social Networks, New York: Lexington Books.